Are you a young adult who has it all together? Are you prepared for adulthood with all the skills you need to make a positive contribution to society? If so, then Just Do It Afraid, a mentorship program, is not for you. On the other hand, if you need some direction to start adult life then you have come to the right place. Just Do It Afraid offers real-life instruction in a convenient online platform to those who are moving into adulthood and need a bit of guidance along the way. Through the mentorship program, our online video courses are instructor-based, taught by experienced professionals who understand what it is like to navigate the real world. Courses are conveniently accessed via a smartphone, tablet, or laptop on your own time and at your own pace. 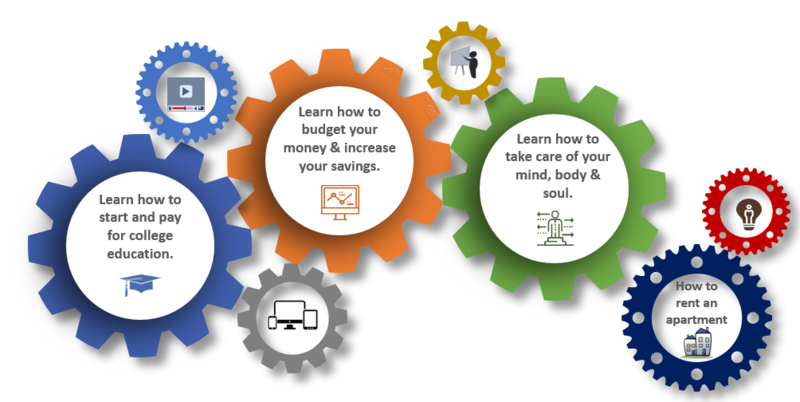 Young adults gain the practical guidance they need to start college, repay federal student loans, create a budget, rent an apartment, and more. The world is fast-paced and a certain set of skills is required for adults to thrive and give back to society. Many young adults are not taught basic life lessons like how to read a lease agreement, how to create a budget & how to manage credit cards. That’s where Just Do It Afraid life skills courses and guidance come in. Practical advice is offered on a flexible basis at an affordable price. Just Do It Afraid life skills courses focus on the most important parts of being responsible and armed with the necessary skills to function in the real world. Courses are continually added to the series, so check back often to see what’s new! If you would like to see a course added to the curriculum, just drop us a line. You can also learn more about Just Do It Afraid, our mentorship program, by clicking on the "Become A Patron" button below. I, Dr. Linda Barthelus, am the founder and senior instructor of Life Skills Instructor. Life Skills Instructor & Just Do It Afraid mentorship program are trademarks of Fruits of Labor, LLC. Life Skills Instructor is managed with the help of my sisters, Drs. Bloodine Barthelus & Thamara Barthelus. Together, we bring over 30 years of combined experience in management, counseling and education, in addition to mentoring, training, and development. We commit to educating and empowering young adults with relevant life skills to effectively transition into adulthood using practical, affordable and convenient online courses.